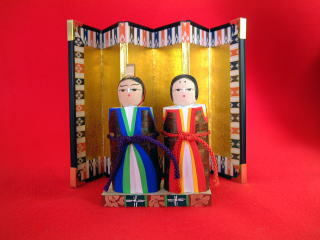 and Tsuchibina with Ikansokutai (ceremonial dress). 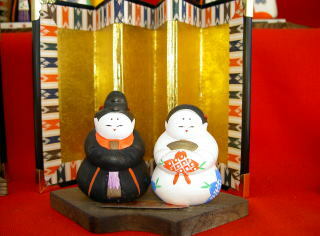 Each Sakurakibori is made from the wood of a cherry tree, and each Tsuchibina is made of soil. 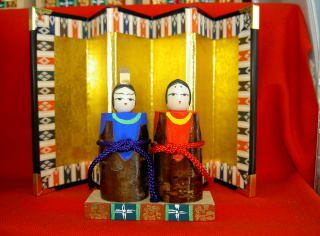 presented Yoshinobina dolls to him. 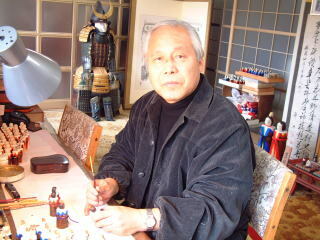 However, over time, the art of Yoshinobina had declined in popularity. to some of the craftsmen there. 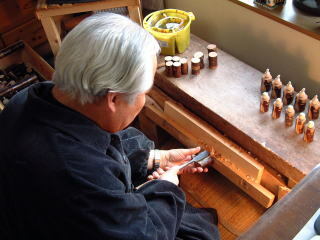 Since Shinnichi's death, his son Toyoshige has continued the tradition of producing Yoshinobina. then wrote "A Volume of Yoshinobina".